Family and Consumer Sciences empowers individuals and families to manage the challenges of living and working in a diverse global society. 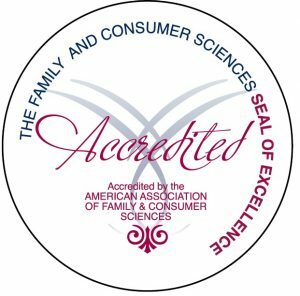 UM’s Family and Consumer Sciences program wasn’t just the first program of its kind in the State of Alabama; it was one of the first programs in the Southeast to achieve accreditation through the American Association of Family and Consumer Sciences. Our curriculum has pioneered fields such as vocational home economics, retail home economics, institutional management, and child development throughout the state and the region. The Family and Consumer Sciences major offers concentrations in FCS Education, Human Development and Family Studies, and Retail Merchandising. Simply put, if you’re interested in pursuing a degree in this highly practical, strongly interdisciplinary field, you’ve come to the right place. Click HERE for a list of Scholarships for FCS majors and the scholarship application.